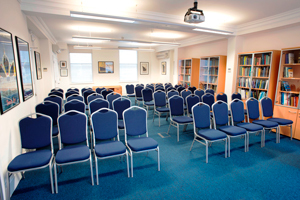 The Headquarters of The Royal Institution of Naval Architects at 8 - 9 Northumberland Street, London, offers a high quality, low cost venue for conferences, meetings, examinations and exhibitions for any number up to 65, within 5 minutes walking distance of Embankment tube, and Charing Cross rail stations. 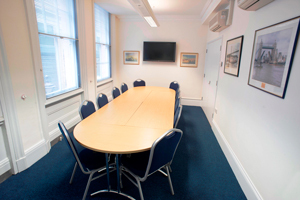 Waterloo rail station is a 10 minutes walk away. 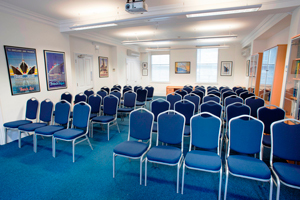 AV facilities, including audio and video conferencing, plus free WiFi are available in all rooms, and catering can be provided. 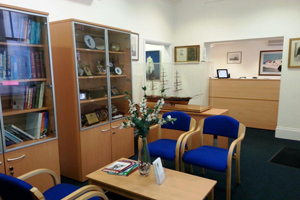 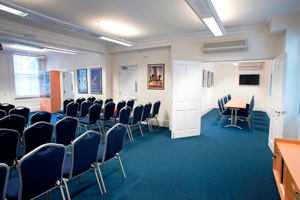 Facilities are available to members and non-members. 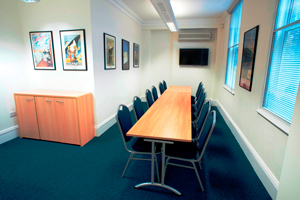 Members enjoy a 10% discount on booking rates. 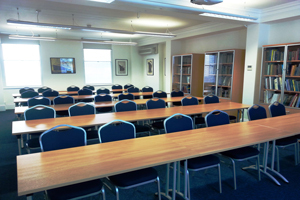 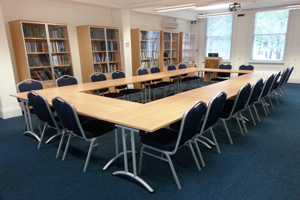 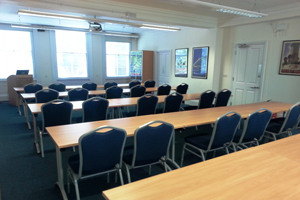 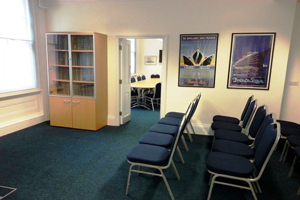 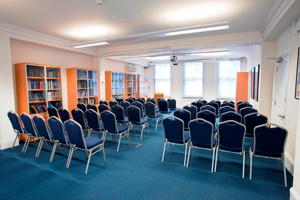 The Denny Room can seat up to 65 in lecture theatre style, 24 in boardroom style and 30 in classroom style, as required. 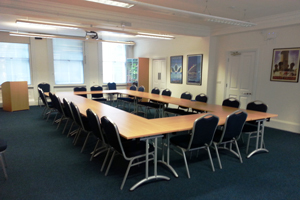 The Scott Russell Room can seat up to 14, and can be hired separately or as a breakout room from the Denny Room. 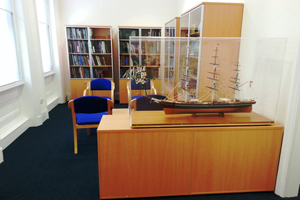 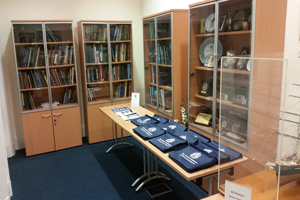 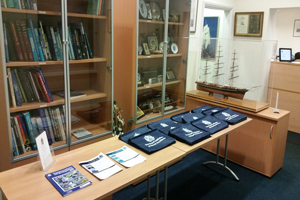 The Foyer may be used for conference registration.